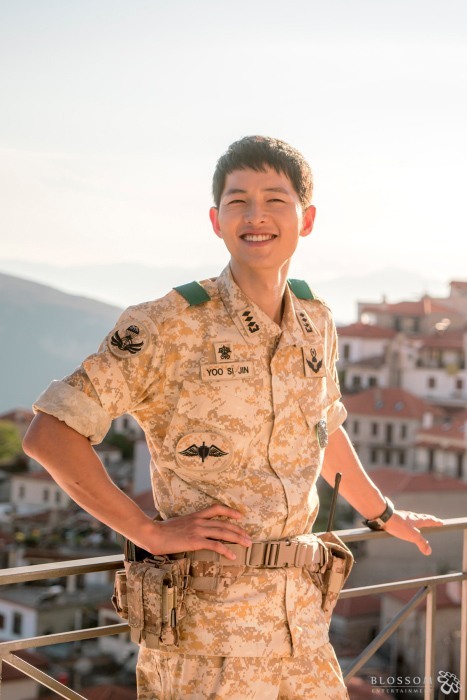 Song Joong-ki, the lead actor of the hit KBS 2TV drama series “Descendants of the Sun,” wrote a newspaper column in 2015 about his personal experience serving in the military. Song's role of young Special Forces officer deployed in a remote area in the series bodes well with the column about a soldier's perseverance. In the newspaper column, Song shared the lessons he had learned as a soldier during his 21-month mandatory military service that began in 2013. It was published in May 2015 in the newspaper Kookbang Daily, which is a published by the Defense Media Agency, an affiliated body of the Ministry of Defense of Korea, four days before he was discharged from duty. Song, 30, recalled that he was fearful when he first joined the military in August 2013 and was dispatched to a Cavalry Division, located near the border with North Korea. He had been worried for several reasons. Firstly, he had joined the army later than most other Korean men. Secondly, the Cavalry Division is notorious for its tough military training and missions, including ambushes in the demilitarized zone between the two Koreas. Thirdly, he is a celebrity. What lessened his burden, however, was advice from a battalion commander, who had emphasized “Shindok,” which refers in Korean to perseverance, and sticking to one’s own will and conscience without being swayed by others out of fear of one’s public image. He wrote that he had overcome his fears and felt a sense of fulfillment as he grew used to life as a soldier. 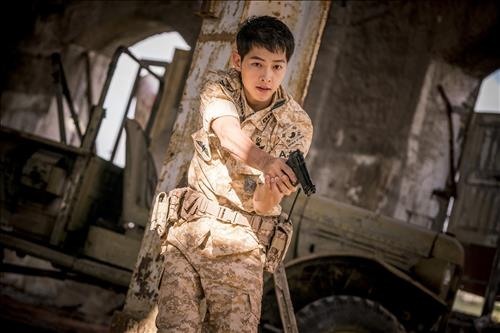 The eighth episode of “Descendants of the Sun” will air on Thursday at 10 p.m., which will be the halfway mark of the 16-episode series.